Julia Park Tracey is a West County writer and author. Read more at juliaparktracey.com or follow her @juliaparktracey on Twitter/Facebook/Instagram. WEIGHTY ISSUES Roxane Gay’s book is making waves for challenging fat-shaming culture. A quick glance at Roxane Gay's new book, Hunger: A Memoir of (My) Body, on Amazon yields this surprising fact: it's No. 1 in three categories—cooking, LGBTQ parenting/families and abuse. But this book is about none of those things. There are no recipes, nothing on how to parent, not much about being queer and it's not really about abuse, either. There should be a trigger warning, however—early on Gay reveals she was gang-raped at 12, and that subsequently her entire life became about wrapping herself in virtual bubble wrap to save the precious child destroyed in an hour. "My body is a cage," she writes over and over, sometimes meaning that she's trapped within, other times meaning she's strong. Her powerful thighs can hold her in a fake sitting position for an evening when the chair is clearly too flimsy to hold her. Her weight, at whatever number, is too much for most people to handle, so she endures internet mockery and shame, celebrity comparisons and impossible standards. "This book . . . is about living in the world when you are not a few, or even forty pounds overweight. This book is about living in the world when you are three or four hundred pounds overweight." She divides her life in two—the before and the after; the skinny, sheltered child and the heavy, wounded adult: "cleaved not so neatly. . . . Before I gained weight. After I gained weight. Before I was raped. After I was raped." Gay writes about eating to become "solid, stronger, safer," to become less desirable, and while often she's the target of derision, she is also sexually invisible. From medical professionals giving her unsolicited advice about losing weight to strangers' remarks or staring, to purported feminists figuratively stabbing her in the back, Gay has met them all. Her depictions of these encounters—and they are daily occurrences—come across not as complaints but as an epic endurance test. "To tell you the story of my body is to tell you about shame," she writes. Shame is a potent poison. "I understood I was a terrible, repulsive thing. Sweet words were not for girls like me. . . . I did not deserve . . . a gentle touch." 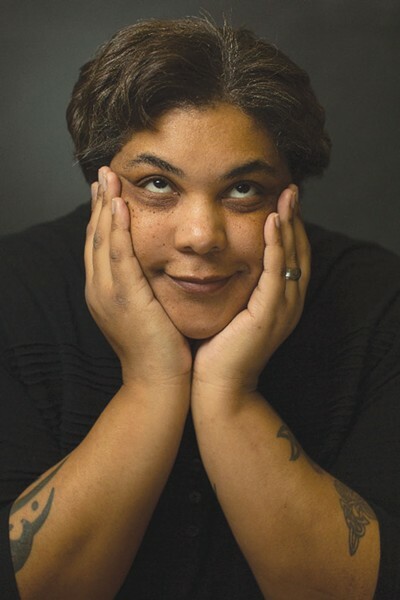 Gay made waves with her Tumblr blog and books like Bad Feminist, and she continues to make news because of her audacity in calling out fat-shaming in this book. "No matter what I accomplish, I will be fat, first and foremost," she writes. This beautifully crafted, deeply considered and brutally true story should be required reading for anyone who considers herself—or himself—a feminist, or a decent human being.